These pretty flower cups made their appearance on Urban Comfort for Easter, but they are so perfect for any spring, summer occasion. 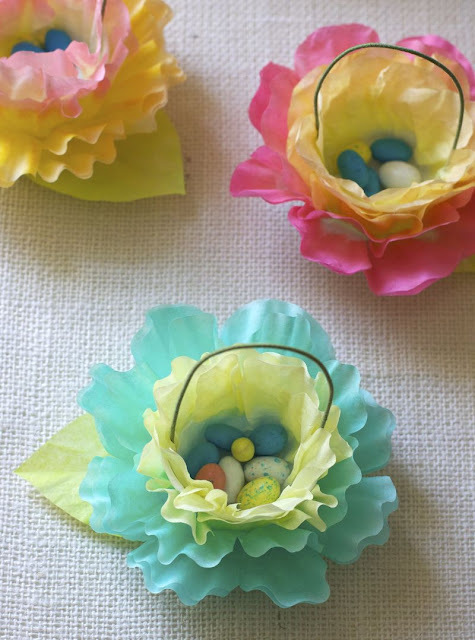 They remind me of the coffee filter cups I made for my girls' Alice Tea Party last year, that you can see here. These cups would make lovely favors for Mother's Day. Or use orange, red and blue colors, fill them with nuts or chips and use them for Cinco de Mayo!